Hear directly from Paul Ladwig, Head Coach DeRuyter and the fans themselves why Guidebook is a perfect fit for connecting Fresno State Athletics with its community. Game day in America is a special tradition – the tailgating, the face paint, the school colors. Nothing can quite approximate its special brand of excitement. This is especially true at Fresno State, where its fans – the Red Wave – are largely known to be some of the most devoted (and vocal) fans in the country. Being the most prominent athletics program in the San Joaquin valley has ensured that Fresno State has not only acquired a significant fan base, but also a sense of ownership among residents that extends beyond just being fans. Athletes at the university participate in a wide array of community outreach and volunteerism, and often times residents come to form personal relationships with student athletes as a result. And Fresno State athletes themselves often hail from the valley, so among the fans are plenty of friends and family. Being “the valley’s team” means that people have a strong desire for information about the program. From schedules to rosters, Fresno State Athletics found that their fans wanted it all at their fingertips. It was a desire that Paul Ladwig, Senior Associate Athletics Director for External Relations, recognized and decided to fulfill. 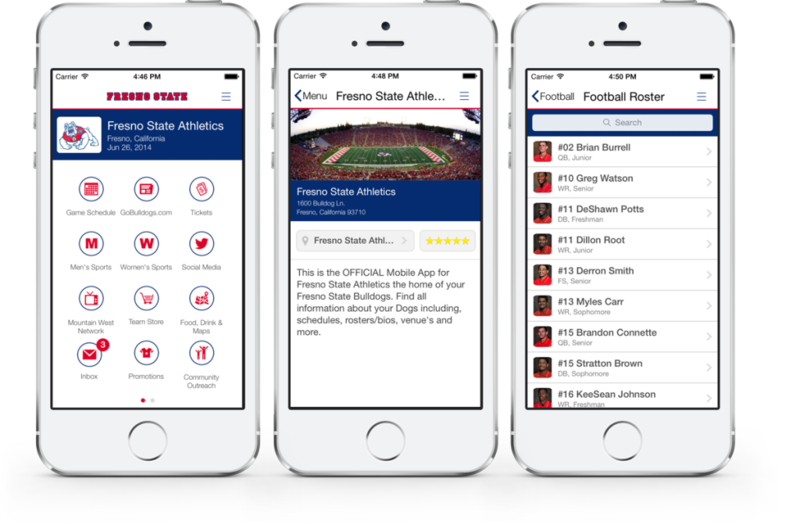 Paul knew that if Fresno State produced a mobile guide it would be used by thousands of interested fans, and so they entered a partnership with Guidebook to make the Fresno State Athletics App a reality. 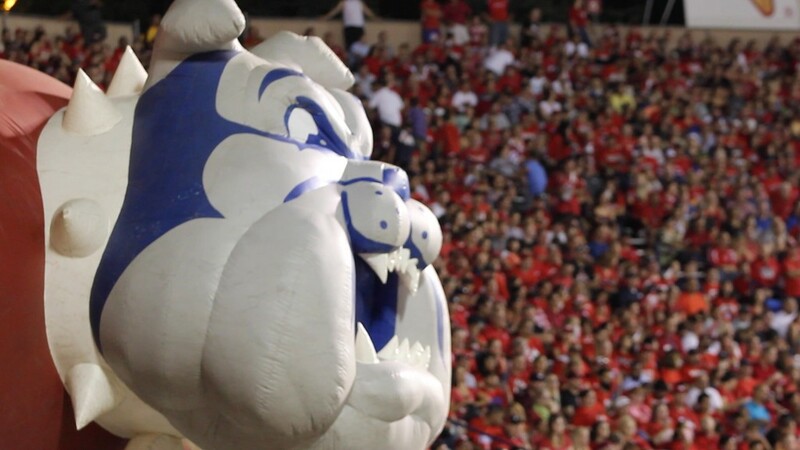 In an app branded with the Fresno State colors and the iconic Bulldog mascot, fans can see the upcoming schedules of all the school’s sports teams, purchase tickets to games and participate in the larger conversation on social media. The app is made to be used before, during and after the game. Fans can find useful information that will help them plan their game day such as tailgating maps and weather reports. While in the stadium, a list of food and drink and where to find it makes sure no one is ever without their stadium snack essentials – a Colossal Dog and “Dog Pile” Nachos. At home, fans can connect with the team store and snag official Bulldog apparel and accessories.